CEMWorks develops advanced software for fast modeling of electromagnetic wave phenomena in complex electronic and optical systems. The software enables broadband Method-of-Moments solution of large multiscale problems of electromagnetic scattering on composite metal-dielectric 3D targets in homogeneous or stratified media. Software is applicable for a wide range of industrial and academic applications. The CEMWorks software is based on broadband frequency-domain Method of Moments analysis accelerated with error-controllable Multilevel Fast Multipole Algorithm (MLFMA). The Method of Moments solution allows for rapid analysis of scattering on composite metal-dielectric objects featuring both homogeneous and inhomogeneous regions. Method of Moment analysis with multilayered media Green’s function enables efficient analysis of wide range of 3D planar applications such microstip antennas, microwave circuits, and interconnects. 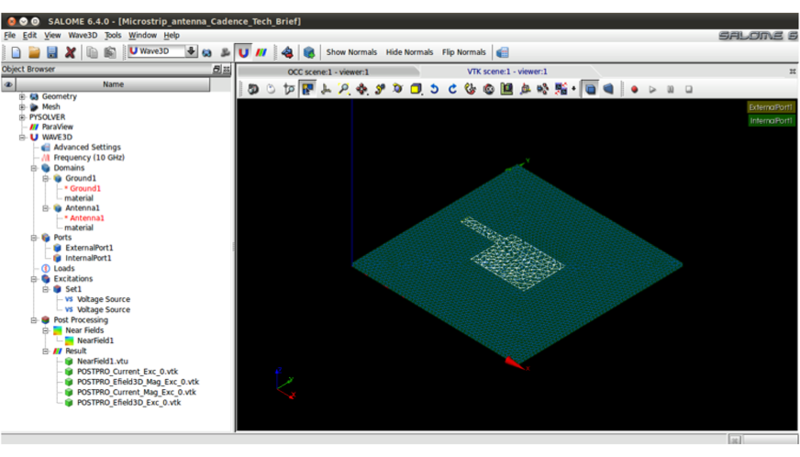 The process of geometry creation, mesh generation, and visualization of the computed fields is performed with Salome CAD, GMSH, and Paraview open-source platforms. 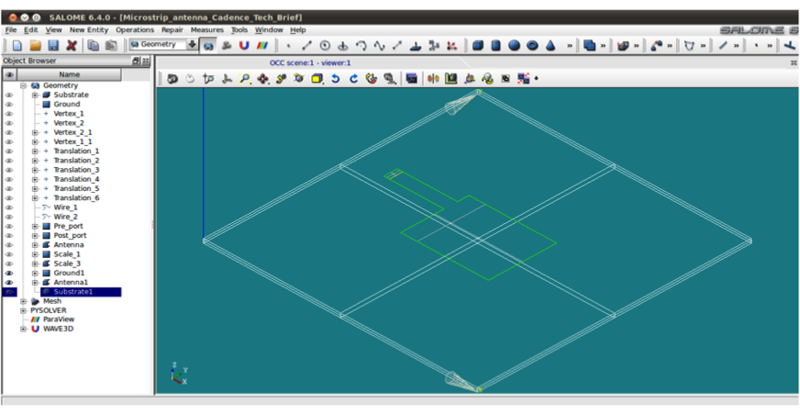 This allows CEMWorks to offer cutting-edge CAD and computational technologies at a marginal price compared to the main-stream vendors of electromagnetic software while providing a full suite of pre-processing, computing, and post-processing capabilities. 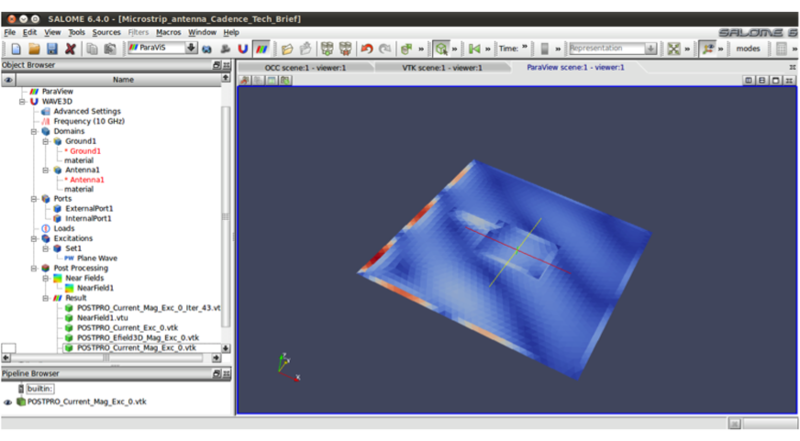 – Paraview parametric visualization of vectorial near fields in slices and volumes, far field patterns, as well as S-, Y-, Z-network parameter over parametric geometry, material, frequency or time sweeps.